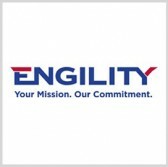 Engility has developed a new data link offering to aid interoperability, situational awareness and connectivity for in-theater operations. The company said Wednesday the Tactical Data Link Lite system is designed to integrate with Android and Windows devices and address size, weight and power requirements of military customers for the use of such technology in adverse environments. Engility will showcase the ruggedized platform during the JRE Operator’s Working Group conference that will be held in San Diego on March 7 and 8. 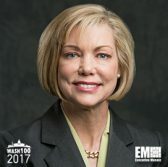 Lynn Dugle, CEO of Engility and an inductee into Executive Mosaic‘s Wash100 for 2017, said the company developed the TDL Lite platform as part of efforts to support the Joint Range Extension community and help address homeland defense and global security challenges. TDL Lite is designed with a graphical user interface that works to help operators configure the system and multiples features that support GPS as well as other location and motion sensor functionality applications.